As football season, the best time of the year, approaches, fantasy football drafts are well underway. Here are fantasy football targets to think about from the AFC South. Most of these stats are based on a non-ppr 12 team league, but some will also have a PPR perspective. Hopkins showed last year that his 2015 season wasn’t just a one-year wonder. If Deshaun Watson is healthy and back to his 2017 form, Hopkins could be the best fantasy receiver in the NFL this season. Right now, Hopkins is going around number 11 overall, making him the second highest receiver taken after Antonio Brown. Taking him with a top six pick would not be crazy. Leonard Fournette is a powerful, punishing running back and the engine of Jacksonville’s offense. While he definitely is a valuable addition to your fantasy team, his average draft grade of first round is too high. Fournette only averaged 3.9 yards per carry last year, which is very low for a top running back. In addition, he is not the receiving threat that elevates the value of other RBs. Wait until the second round to pick him up. Last year with Jacoby Brissett at quarterback, TY was up-and-down all season, making him an unreliable fantasy receiver. It was a common theme for him to follow up something like a sixteen-point performance with two points the following week. However, history shows that with Andrew Luck at the helm, Hilton can be a top fantasy option. In 2016 and 2014, the last two seasons that Luck was healthy, Hilton finished as the number five and number 10 fantasy WR respectively. Miller is a consistent running back, but did not do anything special last year. By the end of the season, he was splitting carries with his backup Alfred Blue. While Bill O’Brien said they are going to play Miller as a three-down back this year, he still shouldn’t be drafted too high. Take him as a high floor, low ceiling, reliable number 2 RB or strong flex option. These two come hand in hand, considering Titans HC Mike Vrabel said he considers both starters. Either one of them could pop off on any given day. 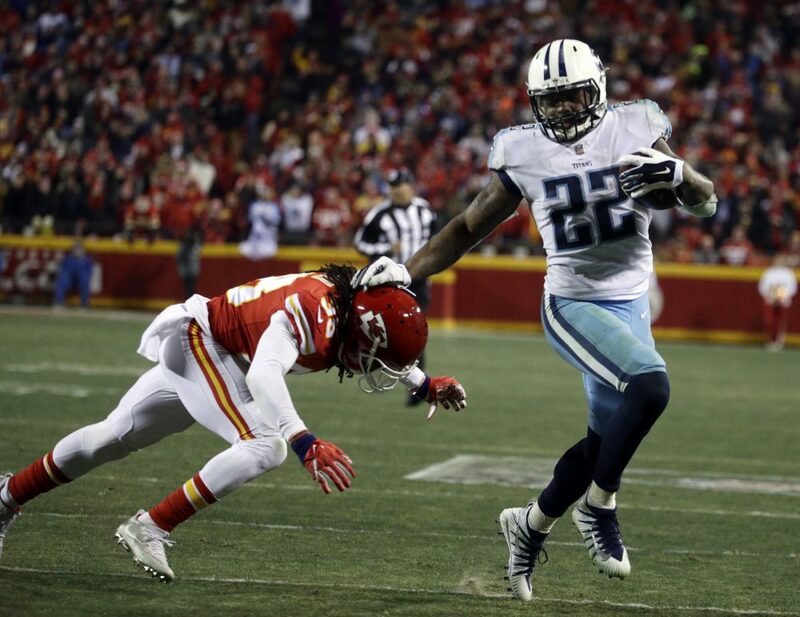 In his limited carries last year, Derrick Henry had a lot of short carries but also had explosive plays to close games out. Dion Lewis is a great pass catcher out of the backfield and is an especially good target in PPR. Draft Henry first, but do your best to handcuff him with Lewis. When Deshaun Watson was playing, Will Fuller put up ridiculous fantasy numbers. Most of his points were on touchdowns, which usually makes players unreliable. However, in the four games Fuller played with Watson, he scored seven times, including twice in three games. After Watson got hurt, Fuller didn’t score the rest of the season. Don’t take him too early because of the touchdown and quarterback dependence, but snag him mid-draft for the insane potential. Corey Davis didn’t produce much in the regular season as a rookie, but showed up in the playoffs with two touchdowns against New England. He’s a talented, hard-working receiver with a lot of fantasy upside this year. Ebron was the 10th overall pick in 2014 but nowhere near lived up to the hype in Detroit. Now in Indianapolis, Ebron has a chance to rewrite his career. He will be playing in Frank Reich’s offense, which created a lot of production for tight ends in Philadelphia, both Zach Ertz and Trey Burton. At a position without many surefire starters, take a flyer on Eric Ebron late in the draft. Nyheim Hines is very low on most people’s radars because he was a fourth-round pick and hasn’t been hyped up. However, he has great vision and agility on the field and could be this year’s Alvin Kamara. Hines is explosive running the ball, catching passes out of the backfield, and even returning kicks. He might get a lot more opportunities than anticipated, especially give Marlon Mack’s recent injury. Keep your eyes out for him during the latter part of your fantasy draft. Deshaun Watson was dominating for the Texans and for his fantasy owners last year before tearing his ACL in practice. As long as he is healthy, there is no reason to believe he cannot return to his 2017 form. His fearlessness of launching the ball downfield and his running ability make Watson a top fantasy quarterback. Another QB coming off injury, Andrew Luck should be drafted with caution. He has had multiple injuries to his shoulder and still does not have a good offensive line, making him a risky pick. However, at his best, Andrew Luck is a fantasy superstar. Draft him, but make sure you take a reliable backup quarterback earlier than normal.